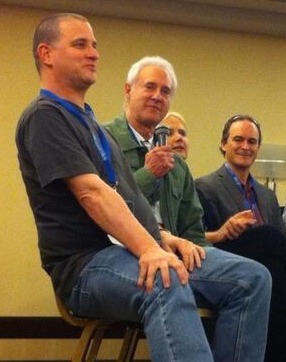 Apparently at the Gallifrey 1convention in Los Angeles, Brent Spiner and Greg Weisman acknowledged Spiner’s involvement with the series. We still need more “data” to figure this out (see what I did there?). Was it a joke? Was it serious? It would be neat to have Spiner as a voice actor on the show. Rebels Report speculates he could play Agent Kallus. We will have to see if Spiner is a cast member or if he is taking a part like George Takei in Star Wars: The Clone Wars which was really just am awesome cameo role. Fun Fact Pointless Fact: Spiner used to show up to my elementary school as a kid because he was involved with my buddy Ben’s aunt. They would pick him up sometimes and I would get to talk to him briefly. One time he gave me a signed headshot. At the time I was excited but I wished he was a Star Wars actor instead (I’m serious). So now it all works out, I guess? 5th grade Jason just learned a lesson about patience.